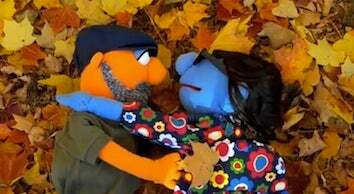 Today In Viral Marriage-Proposal Videos: Muppets! To propose to Sara, his girlfriend of ten years, Sid made this video and aired it during the trailers at a local movie theater. Now in addition to a viral video, all proposals must include childhood nostalgia and custom-made muppets.